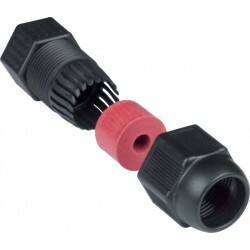 Cable side shroud can be used with pre-terminated CAT5e cable to protect from water and dust. 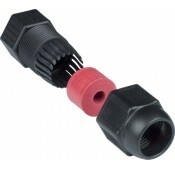 Pre-terminated cables can be bootless or booted. Simply slide on the waterproof cable gland to a cable for each end that needs waterproof protection, and terminate the cable using a desired CAT5e RJ45 plug.